Who Does the United Explorer Business Card Appeal to Most? Decision Time: Is the United Explorer Business Card Right for You? If you find that you are doing a lot of traveling for your business, then it makes sense to seek out a travel rewards credit card. When you are going to be spending money on flights, it makes sense to want to get rewarded for it. If you use a travel rewards credit card to its full potential, then you can really work to save your business a bit of cash in the long run. There are a lot of different options to consider when it comes to finding a travel rewards credit card too. Some rewards cards for businesses are going to be more general and will provide cash or statement credit bonuses. Other are more focused on travel benefits. This is the case with the credit card that we will be discussing today. 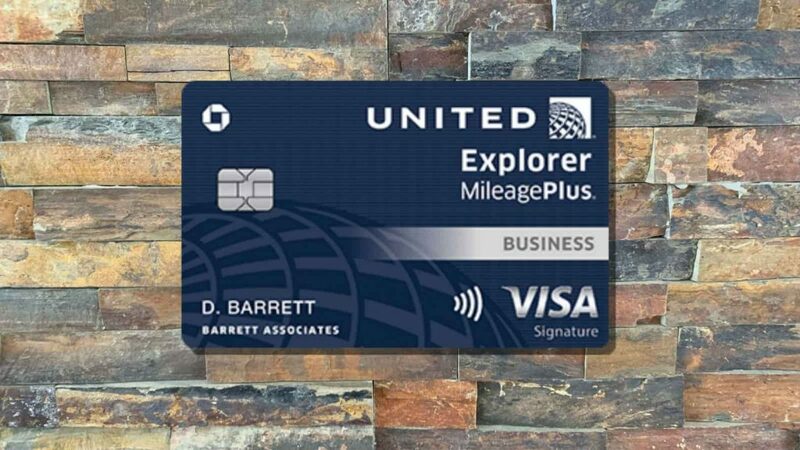 The United Explorer Business Card is an airline travel rewards credit card that really comes in handy for certain businesses. When your business books flights through United Airlines often enough, this credit card will be able to show you some real rewards potential. Being able to earn rewards at a fast rate is a great thing for your business. To add to this, you will also have many different perks or benefits that you can enjoy for being a cardholder. Is this card going to be a good fit for your business? Read on as we examine this credit card in depth so that you can make a decision for yourself. You'll earn 50,000 miles after spending $3000 in the first 3 months. You'll earn 2X points on restaurants, gas stations, office supply stores, and with United Airlines. Free first checked bag for cardholder and one companion. 2 United Club Lounge passes per year. 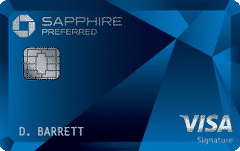 As with most travel credit cards, this card is going to come with an associated annual fee. The annual fee is set at $95 but it is going to be waived for the first year. Not having to pay it for the first year is a pretty good deal and the fee is not overly high anyway. This annual fee falls right in the middle of the pack as far as airline travel credit cards for businesses go. The APR for this credit card is standard or maybe just a little bit high. This is not the type of card that most businesses will carry a balance on, though. The APR falls in line with most of the other travel rewards credit cards. One slight disappointment is that this card does not offer any sort of an introductory APR as an incentive. Fees are also fairly standard when you are using this credit card. The balance transfer fee is set at 5% with a $5 minimum. The cash advance fee is also set at 5% but it has a $15 minimum. The maximum late fee that you can expect to pay with this credit card is $39. You will not need to worry about paying any foreign transaction fees with this card. This will work out well for any businesses that fly out of the country regularly. If you have foreign business partners and need to go to meetings from time to time, then this card will remain very practical to use. Any time that you can avoid fees is going to be helpful so this is definitely a check mark in the positive column for this credit card. This credit card has several features that will help it to stand out as a good option. One of the first ones that you will notice is that it has a nice sign-up bonus. Sign-up bonuses are fairly standard for rewards cards of any type but this one is actually quite nice. You will be able to earn many bonus miles for spending a pretty standard amount of money within the first three months, making it very easy to earn the miles. You can also expect this card to be very secure for you. It makes use of the latest security technology and it is completely chip-enabled. This card will also be able to make use of a PIN to keep your account that much safer. This is fairly standard but it does help to make cardholders feel more comfortable that their business credit cards are as secure as they should be. Most of the other important features are going to have to do with the rewards program. We will go over the rewards program in depth later on. Aside from standard features, this card also has a significant amount of benefits that will help to make your traveling experience great. Cardholders will be able to enjoy a number of amazing benefits when making use of this credit card. One of the good benefits of being a cardholder is that you will be given calendar year bonus miles. This is fantastic for your business as it can help to offset some of your yearly travel expenses. You can expect to get 10,000 bonus miles each calendar year when you spend at least $25,000. Business travelers who are using this credit card will also receive priority boarding. You will be able to access Group 2 boarding for both yourself and any companions who are traveling on the same reservation. You just need to include your MileagePlus number in your reservation. This is great for when you are traveling with multiple people on a business trip and it makes your traveling experience that much more convenient. You will also get your first checked bag for free when you use this card. This also works for companions who are traveling with you when you include your MileagePlus number in your reservation. Making use of this benefit is going to help to save your business some money over the years. Avoiding several baggage fees will add up to a significant amount of savings in a calendar year so this can potentially make up for the annual fee after three or four flights. Another benefit is that you will receive two United Club Passes. These passes grant you access into the lounge and it will significantly improve your travel experience. Note that these passes are one-time-only. Regardless, each pass is valued at around $118, making it a very nice perk to have access to. There are a few other standard benefits that are worth making note of too. For instance, this card will grant you auto collision insurance on your rental cars. This gives you primary coverage that will cover the car in the event of the car being stolen or damaged. The coverage amount is up to the cash value of the car and it helps you to avoid having to submit an insurance claim to your normal car insurance company. You will notice that there are a few luxury resort and hotel perks that are associated with this card too. When you book hotels through Chase’s Luxury Hotel and Resort Collection, you will be able to enjoy free breakfast and room upgrades. You’ll also be able to enjoy several other standard benefits such as lost luggage protection, trip insurance, purchase protection, and much more. It is definitely a full-featured card that will prove to be very worthwhile for your business. The rewards program is actually where this credit card starts to stand out from the competition. Some airline travel rewards business credit cards do not offer too many opportunities to earn increased bonus points. This is not the case with the United Explorer Business Card. Cardholders can earn 2X miles on all United purchases as well as purchases at gas stations, restaurants, and even office supply stores. All of the other purchases that you make with this credit card will allow you to earn 1X miles for every $1 spent. This is a good amount of reward miles to earn for your everyday business expenditures. Being able to earn the increased 2X bonus miles rate on so many different things will be helpful. Those who spend a lot of money on those categories will wind up earning miles at a very fast rate. Redeeming the rewards that you have earned will be a good experience too. You can redeem your miles for flights with United, as you might expect. It is also possible to redeem miles for flights with United Airlines’ 27 Star Alliance partner airlines. This gives you plenty of options to make use of and will allow you to book your travel in the most convenient ways possible. The United Explorer Business card is not as limiting as some other airline-specific travel credit cards and it should be very customer-friendly. It should also be noted that you will be able to book your United flights with your rewards points without having to worry about blackout dates. It is always nice when companies do not put restrictions on you in this way. You will be able to use your miles as you see fit without being forced to use the rewards only for specific dates. Miles can also be redeemed for car rentals, hotels, and merchandise but this will not allow you to maximize the value of your earned miles. This card definitely has many great benefits. Being able to enjoy checking your first bag for free is going to save your business a lot of money. You will be able to enjoy other great perks too, such as priority boarding. When you combine this with the more standard perks, it really becomes obvious that this card is very beneficial to have in your wallet. The fact that this credit card has a good sign-up bonus is really nice as well. It is not hard to earn the sign-up bonus and it will be easy to take advantage of some easy bonus miles. These miles can definitely be used to help keep your travel costs a bit lower for your business. This is a better sign-up bonus than many other travel rewards credit cards so it will definitely pull some people in. Credit cards that have a robust rewards program are always so satisfying. This airline travel rewards credit card makes it easy to earn bonus miles. You can earn a 2X bonus miles rate on United Airlines purchases, gas stations, office supplies, and restaurants. Many businesses will be able to take advantage of this to really rack up those bonus miles. Redeeming your earned rewards is very easy with this credit card too. You will be able to redeem your earned miles for flights with United Airlines and can also book flights with the many partner airlines that are associated with United. This makes it about as convenient as it can possibly be and you will be able to use your miles as you see fit. There are no blackout dates to concern yourself with and it will be a smooth experience. APR might be a bit high. Some people may want greater rewards flexibility. This is a very good credit card that does not have too many negatives. Even so, it can be said that the APR on this credit card is a bit higher than some others. It also does not offer any type of special introductory APR rate. If these types of features are important to you, then you may wish to think twice about this card. Also, some businesses may wish for more flexibility in the rewards structure. The rewards of this credit card are quite good but you will not be able to get cash back or make use of many other options. You can redeem rewards for merchandise, hotels, and rental cars but doing so will not be cost-effective. You will get more monetary value out of your earned miles when redeeming them for flights so you will likely feel obligated to do just that. If you like being able to choose between cash-back options and travel redemptions, then you may want to look into a different business rewards credit card. Otherwise, this credit card will be very good for businesses that travel often. It can help to keep travel costs a bit lower and will always be easy to use. You will need to have a credit score that falls in the good range to be approved for this card. It is going to be best to have a score that is toward the higher 600s in order to give yourself the best chances. Taking the time to check your credit score first is always a good idea. This will allow you to know for sure whether or not you have a chance of being approved. 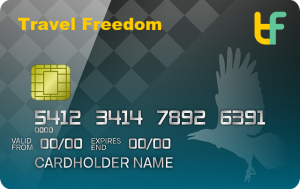 As expected, this credit card is going to appeal to businesses and business owners who do a lot of traveling. If you have to fly to get to business meetings or other important events, then it makes sense to have a credit card such as this. It can help you to earn rewards and this can offset some of your expenses in ways. The access to travel perks is great too as it allows you to have a smoother traveling experience. This card is also perfect for businesses that fly using United Airlines regularly. If you are already a United Airlines customer, then this card is a natural fit for you. This is going to allow you to earn 2X miles for all of your United Airlines purchases so it is a good card to help you earn rewards quickly. It will work out nicely for anyone who generally sticks to United Airlines and should help your business out a lot. The Ink Business Preferred Credit Card may be a better fit for some people. If you like to use credit cards that are not tied to a specific airline, then this one may be perfect. It offers a huge signup bonus and it’s points can be transferred to many airlines and hotels, including United. It also offers you the ability to earn 3X Ultimate Rewards points for the first $150,000 spent on travel, utilities, and shipping. This card can be quite lucrative for businesses and it may be the right one for you. See our full review of the Chase Ink Business Preferred. This card has some pretty good perks too. It matches up well with the United Explorer Business Card. 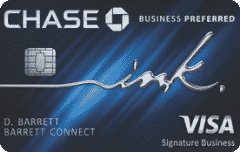 In some ways, the Ink Business Preferred Credit Card is more flexible. It just depends on what you want out of your business rewards credit card. If you travel a lot and fly with United Airlines, the United Explorer Business Card can still be a very appealing option. Both are very much worth considering. The United Explorer Business Card is something that just might deserve a place in your wallet. If you need a reliable credit card that will help you to save money on travel costs by earning rewards, then this is great. It is perfect for existing United Airlines customers and will make your business travel expenses that much easier. If you have a need for a business credit card that will offer you good travel perks, then this one should be at the top of your list. You will be able to make good use of this card to help you earn many bonus miles. Spending the miles will always be intuitive and you will have many options for booking flights. The annual fee for this credit card is reasonable and the perks make it even more worthwhile. It is a good card that will work well for any business that is capable of using it to its full potential.